Advances in Imaging & Electron Physics merges two long-running serials--Advances in Electronics & Electron Physics and Advances in Optical & Electron Microscopy. 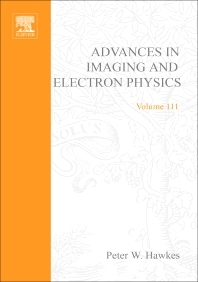 The series features extended articles on the physics of electron devices (especially semiconductor devices), particle optics at high and low energies, microlithography, image science and digital image processing, electromagnetic wave propagation, electron microscopy, and the computing methods used in all these domains. Researchers in electrical engineering, optical science and technology, materials science, image processing, and mechanical engineering. Xerox Corporation, Palo Alto, California, U.S.A.
Aston University, Department of Electronic Engineering and Applied Physics, U.K.